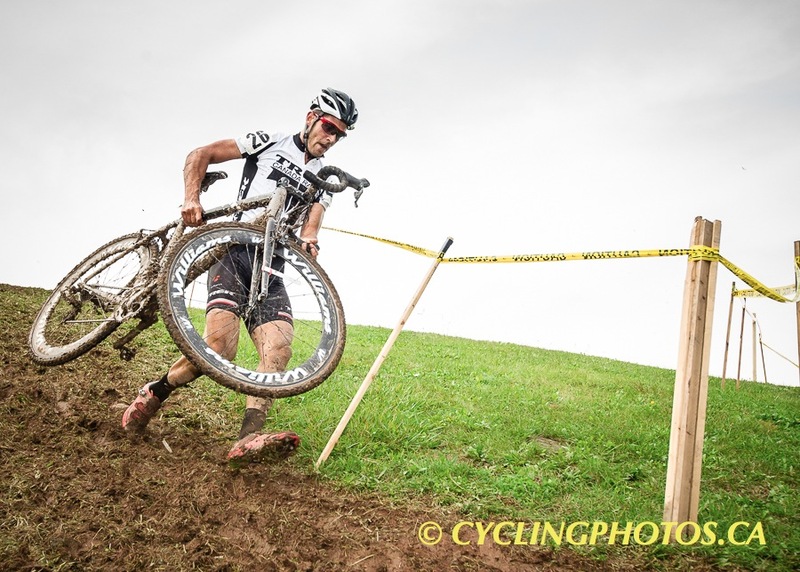 Sunday Oct 6th saw round 2 of the Cyclocross O-Cup take place at Firemen’s Park Cross in Niagara Falls. With heavy rain in the days leading up to the race conditions were uncertain, and though the skies did clear by the 11:30 start the course was already saturated in many areas. Despite some rain in the morning, the 10 am start saw forty-two Master 3 and Elite 4 riders take the line, while the Under 17 categories totalled thirteen riders continuing the growth in the youth participation in recent events. At the head of things, Nigel Roedde edged out Gabhan Chalmers (Speed River CC) by just 1 second for the Elite 4 win while Richard Thomas took the Master 3 win behind. In the Under 15 Men Richard Elliott (Centurion Development Canada) took the win with lap times competitive with many adults, while Ruby West (Team CHCH – NCCH) and Gunnar Holmgren (Velocity Cycle and Ski) won the Under 17 Women and Men’s races respectively. With clearing skies and the course sufficiently slick, a strong field of U19, Elite 3 and Master 2 men took the line next. 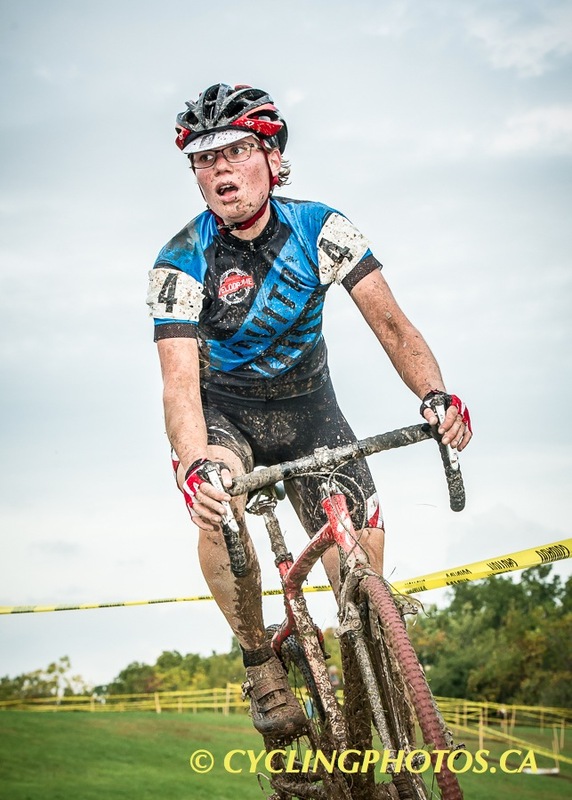 Local favourite Tyler Lee (St. Catharines CC) took an early lead and was riding convincingly toward a win. 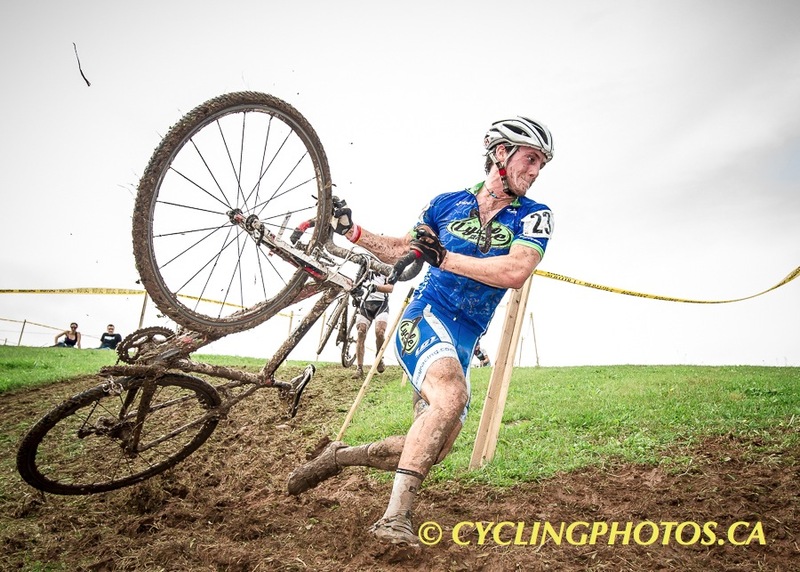 Charging hard behind however was cyclocross newcomer Eddie Skala (Pedal Bicycle Shop) coming off a strong Junior Expert MTB season. In the final laps Eddie was able to overtake Tyler and hold a 7 second gap to the finish winning the Elite 3 race. 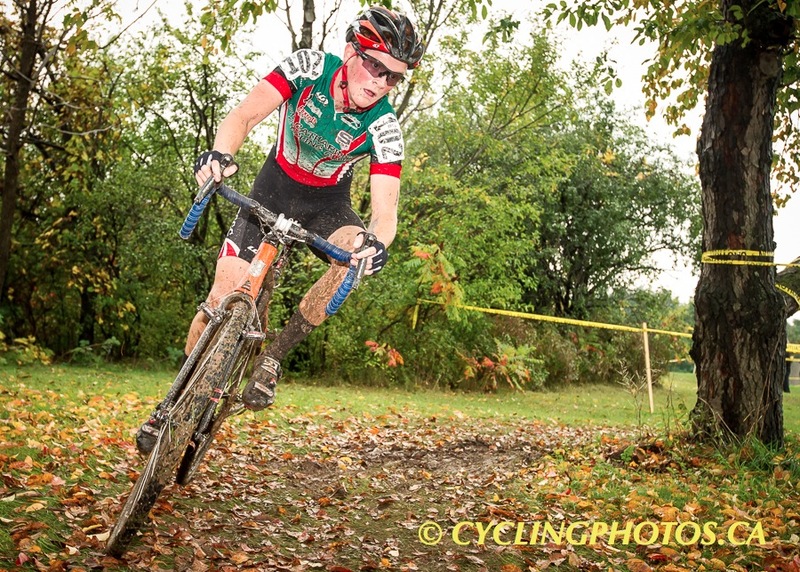 Tyler was the first U19 rider and the winner of the Master 2 category was George Organ (Cyclepath Oakville Race Team). The Elite and Master Women also took the course at 11:30, with Antje “Diva” Thamm taking the Elite win and the overall in the women’s field going undefeated in the O-Cups so far. 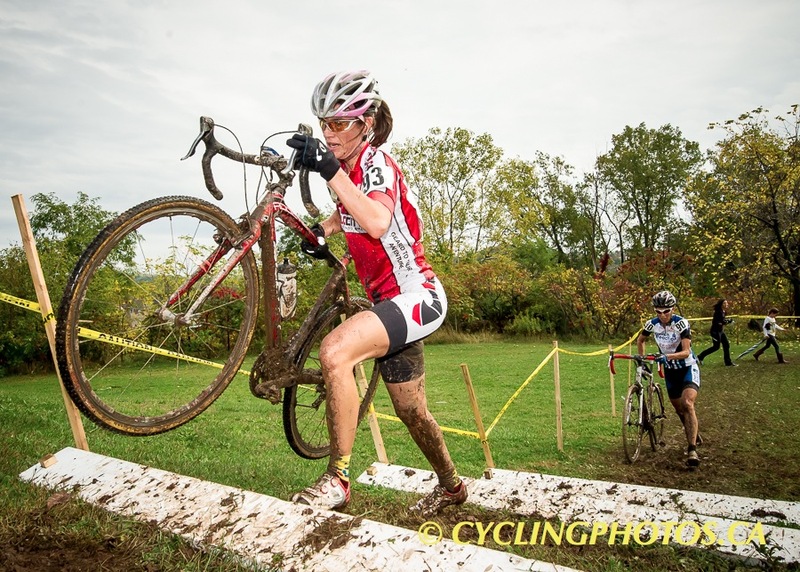 Just 18 seconds behind, Lisa Holmgren edged out Carolyne Haill for the Master Women’s race. In the final race of the day a strong field of Elite 1/2 and Master 1 men including recent silver medalist at the Junior MTB-XCO World Championships Peter Disera took to the line. 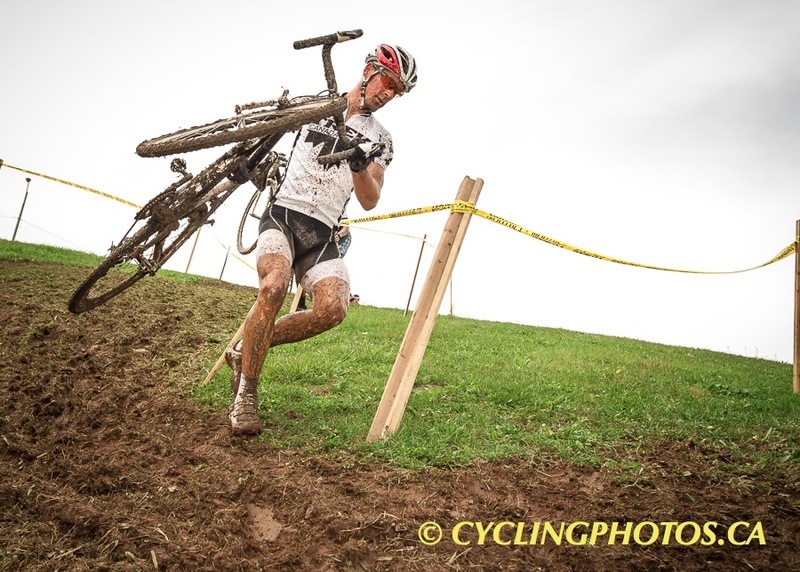 While Disera took the holeshot and early lead, Adam Morka (Trek Canada) quickly showed his dominance taking the Real Deal Performance lap 1 prime, and continuing to open his gap working his handling skills around the muddy course. Behind, Disera and Nathan Chown (Team CF) pursued, with Chown eventually getting clear for 2nd leaving Disera to take 3rd. Marco Li (Beaches Cycling Club) was 4th and Jon Barnes (Trek Canada) picked up 5th in the race which netted him the Master 1 win. This year’s event was a great success with many positive reviews from the racers. Look for Firemen’s Park Cross to be back next year!